to quickly respond to any emergency. In addition to fighting fire every year nation wide, mobilizing and operating full service, turnkey base camps, and providing experienced and qualified Incident Management Teams and skilled labor to all types of incidents and remote work sites is an integral part of our business. We maintain a large inventory of facilities and resources at key logistical locations. We provide the customer with a wide range of available resources, including soft sided solutions, trailer solutions, and hard sided solutions. Our people possess the National Incident Management System (NIMS) and the Incident Command System (ICS) training and the experience to deliver world class emergency services under stressful, often-chaotic circumstances in often less -than desirable environments. GFP possesses the quality and quantity of personnel and equipment to quickly respond to any situation. Mobilizing teams in remote areas can be expensive, if not impossible, when you consider difficult commuting and the lack of water, facilities and food. Our first responder backgrounds prepare us to respond in times measured by hours. We deliver safety, performance and professionalism through out base camp management and operating procedures. Our people and equipment stand ready to help you achieve your objectives. 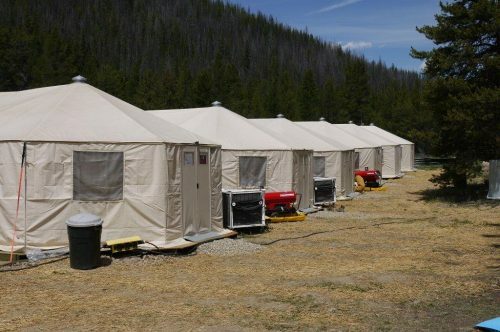 Provided equipment to construct 250-person base camp for deployment in the event of a disaster in a remote area of Alaska. Staged entire camp at a secure location to be available for deployment at a moment’s notice, as part of an emergency response plan. Included manufacturing containerized kitchens, laundry, toilets and showers customized for this project. Provided equipment and personnel to construct 3 separate base camps with occupancies of 800, 1010, 1208 respectively in Panama. 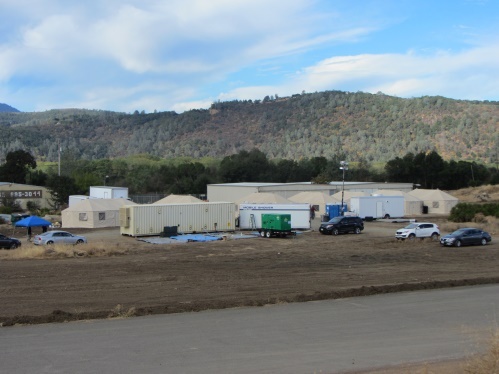 Included manufacturing over 230 containerized housing units with multiple, different layouts. Provided personnel to perform complete build-out of base camps including kitchen, dining, hygiene, ablution, power distribution, plumbing distribution, laundry, shower and housing facilities. Also included design layout services. GFP has been fighting wildland fires as a private contractor since 1988. We cut our teeth in the Pacific Northwest saving old growth stands. Our safety, performance and professionalism quickly earned us invitations to battle fires in every Western state and many Eastern states. Including as far away as Florida. Our 20-person initial attack hand crews are some of the best trained in the industry. We train more than 500 firefighters each year in the Incident Command System. GFP’s hiring practices and training have paid big dividends. We’ve earned NIFC’s Best Performance Award for a National Type II Initial Attack Contract Crew – the only contract provider to win this prestigious award. Currently hold 5 National Type II Initial Attack private hand crew contracts with the National Interagency Fire Center. Consistently receive high marks on performance evaluations.